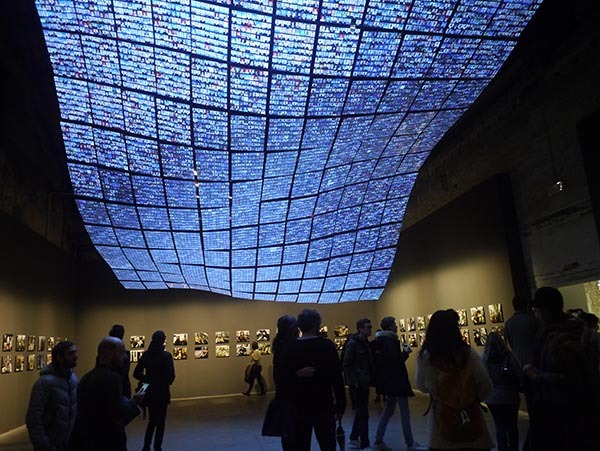 This autumn, almost 50 students from across Camberwell’s undergraduate Fine Art programme were lucky enough to visit the Venice Beinnale 2015 in its closing days. 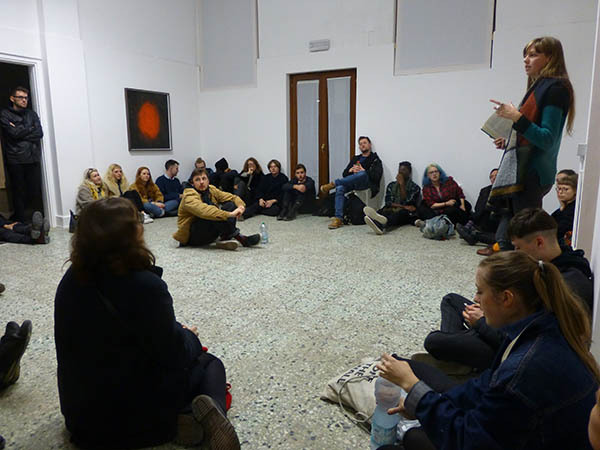 One of the activities that students took part in during their time in Venice was attend a talk with Juan Bolivar, a London-based artist, curator and Lecturer in Painting at Camberwell College of Arts. The aim of the seminar, Juan explained to us, was: “to provide an opportunity for students to discuss some of the implications of viewing an exhibition, highlighting some of mechanisms by which transference of meaning occurs and posing the question whether there is an autonomy to the (art) object’s ability to ‘radiate’ meaning, or whether this is dependant on context and/or other factors modifying the interpretation of a work.” The presentation lasted about an hour followed by an open discussion, and visit to the Arsenale section of the biennale. 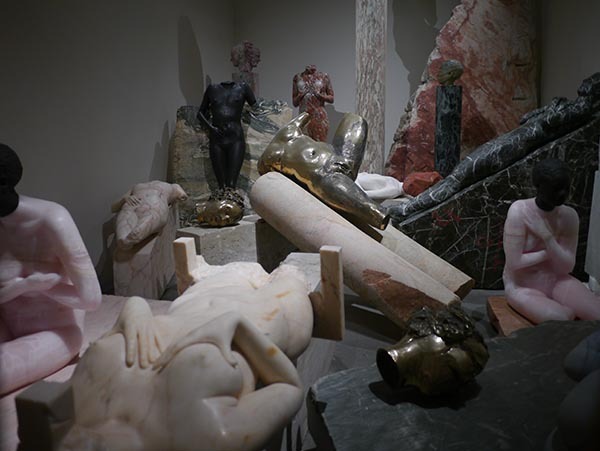 Find out more about studying Fine Art at Camberwell on our undergraduate course pages. 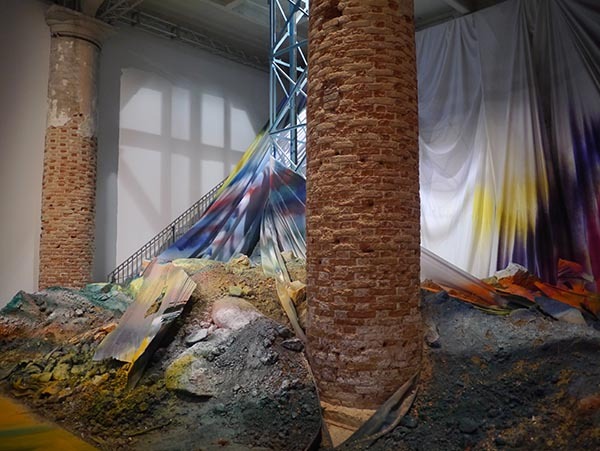 Find out more about the Venice Biennale on their website.